My children love to take a bit of time out of the day to color... Express their inner child with a few crayons and doodles. I'm not going to lie here, I have used my fair share of Crayola crayons as an adult as well. Creating my children's Crayola My Way Custom Art Case was so fun for me. I had Ally help me choose which colors she thought we needed to put inside the case. I wanted to put a picture on the outside but she said "maybe next time, Mom." My girl is growing up way too fast, that is for sure. This is what lead to the names instead. It is plain and simple. Going through the process to design our Custom Art Case was a lot of fun. You get to choose the outside and what is in the inside! My favorite part of all is that you get to choose which shades of crayons get to go in your art case! You can choose from traditional colors to reds to glitter. So many great possibilities for all of the colorful minds in your home! We break out our Custom Art Case for homework, adult coloring time and regular Saturday color fest! With the new rave of adult coloring books, who says your children need to keep this art case to themselves? I certainly suggest that my children share with Mom! 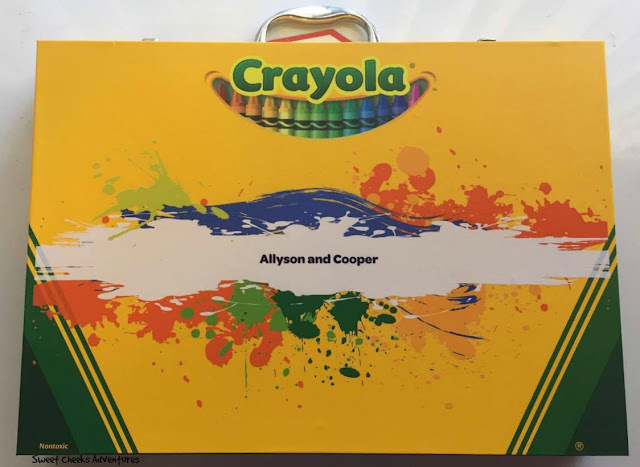 You can create your own Custom Art Case on the Crayola My Way website. If you'd like a little more than just text, pick a picture to include! The options are fun to choose from, so involve the kids. Or well, don't... either way, add some color to your life. 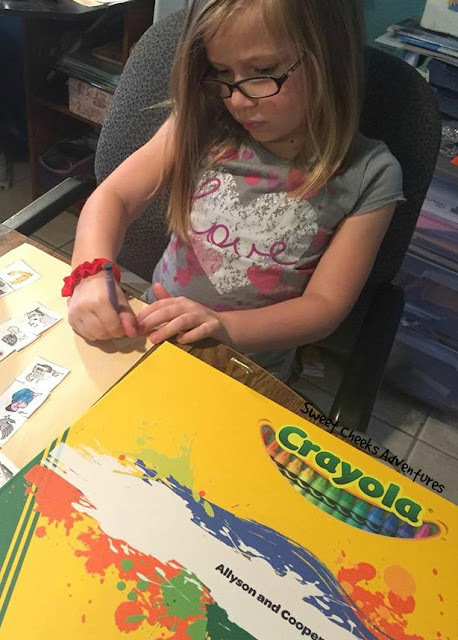 Enter to win a Customized and Personalized box of 64 Crayons! $24.99 value - Giveaway ends on 5/23. Winner will be notified by email. 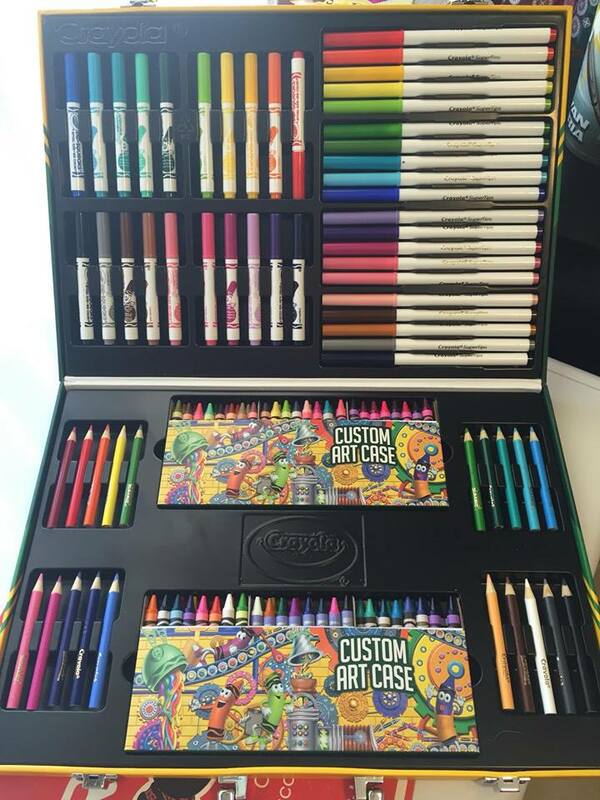 This art case looks so fun! Great review, thanks for sharing. How fun! My daughter loves everything about coloring. She would LOVE this. That is the coolest thing EVER. My youngest son would absolutely love to design his own case. This is so cool! My daughter loved art as a kid and this custom art case would have been perfect for her. This has everything a kid could want. It's so nice that the kids can pick out what they want to include in it. I just love Crayola products and today is actually National Crayon Day. Madison would love this and as a matter of fact, so would I. I should totally get one for me. Crayola art supplies have always been some of my favorites. They allow children to use their imaginations and be creative. I was always a big fan of Crayola. What a great item. We love Crayola here, esp. the crayons. Other colors never look authentic but Crayola has color mastered. This is such a cool idea! My daughter is a teen and is still obsessed with crayons! My favorite color is blue; so many shades of blue to see! Thanks for the awesome giveaway! My kids would absolutely love this! Cleaning after the kids when they're done playing with crayons drives me crazy. But why do all these kids love crayons so much. Definitely entering. My favorite color is blue. Blue always relaxes me and makes me happy! I love the color blue because it reminds of the ocean which is my favorite place to be with my family.